Concrete & Marble Transformerz: Granite and Marble – What’s the Difference? Granite and Marble – What’s the Difference? Granite and marble have quite a bit in common: they’re both highly valuable materials sourced from the earth, they’re both used in homes and commercial properties, they’re both commonly used in kitchens and fireplaces, and they can both add a substantial amount of value to your home. It is often easy to identify granite and marble – marble is generally veined, while granite tends to be flecked with different colors. Furnishing a home with either of these materials as an investment is rarely regretted, but are you familiar with the differences between the two? While granite and marble can seem very similar at first glance, there are several important differences between the two. In this blog, we’ll outline some of the main differences and some of the most important differences between granite and marble. Concrete & Marble Transformerz has been providing granite and marble cleaning and restoration services to Los Angeles and Orange County for more than five years. Don’t wait to take care of the marble or granite in your home – contact us today for a free estimate and protect your investment! Granite is classified as an igneous rock, meaning that it forms within the earth’s surface as it cools from a magma-like state. It’s composed primarily of feldspar and quartz, and granite often has mica and other minerals in it that can be noticed in the various textures and appearances found in different granite slabs. 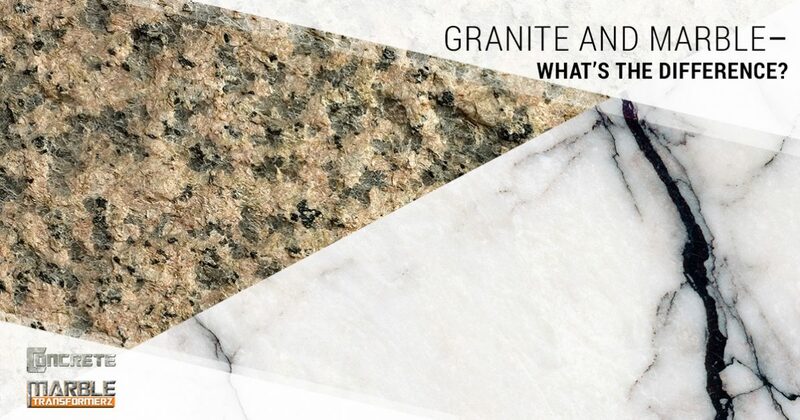 Typically, granite’s color is off-white or gray, though rare forms of granite have layers of red, green, and pink throughout them. Granite is more durable than marble, meaning that it will be less likely than marble to chip, stain, or break. For this reason, granite countertops and floors can be a great option for households with young children. Though granite is less likely to stain than marble is, granite is a porous stone and must be treated with care. Red wine and acidic substances such as coffee and lemon juice can seep into granite, causing stains and damage. Granite tends to be lighter in color than marble, and for this reason, it’s extremely important to have your granite furnishings regularly serviced and maintained. Hiring a professional granite cleaner is the most effective way to ensure the longevity of the granite in your home. Marble is classified as a metamorphic rock, meaning that it’s the result of a transformation of an already-existing rock due to pressure and high levels of heat. It’s primarily composed of calcite, micas, quartz, pyrite, and graphite. 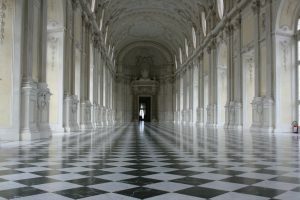 Marble has a variety of appearances, including off-white, dark gray, red, and light green. As we noted above, marble is softer than granite, meaning that it’s more easily stained and damaged. While this shouldn’t be taken to imply that marble is inferior to granite, it should prompt some thought regarding where you’ll be installing marble in your home. Many families with young children opt to install marble in areas of the home without much traffic, which can help to ensure the longevity of their investment. Marble can be easily stained, especially if the marble is light in color. Marble can transform a kitchen into a welcoming and beautiful room in your home, but marble in the kitchen requires a bit more maintenance than granite does. Red wine, heat, and acidic substances can quickly and easily damage marble. Many homeowners don’t mind their marble having a “bit of character,” from decades of use, but damaged marble can affect the value of your home. Most spills won’t damage your marble countertops or floor, but stains left untreated can soak into the stone’s pores, causing irreversible damage. For this reason, it’s essential to hire a professional marble cleaning service if you currently have, or are thinking about installing marble in your home. These are just some of the main differences between granite and marble. If you have granite or marble in your home, it’s essential that you protect your investment by practicing proper granite and marble maintenance techniques. Hiring a professional granite cleaning or marble cleaning service is the best way to ensure that you’re protecting your investment. If you’re interested in granite cleaning or marble maintenance services, don’t hesitate to contact Concrete & Marble Transformerz in Los Angeles!